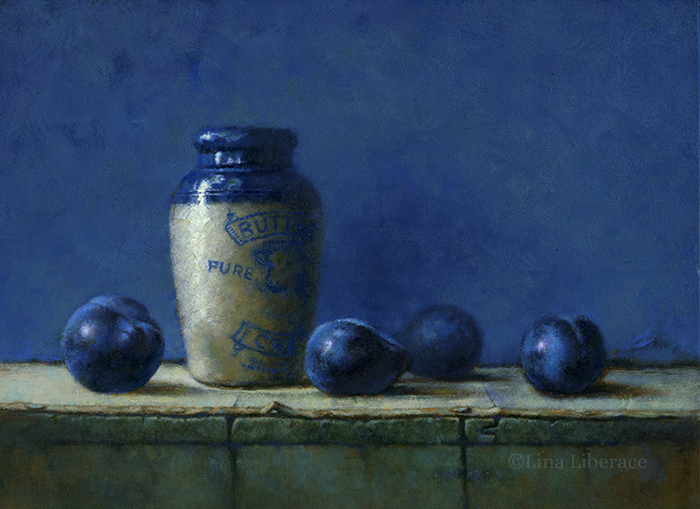 “Italian Plums,” oil on panel, 9×12 in. 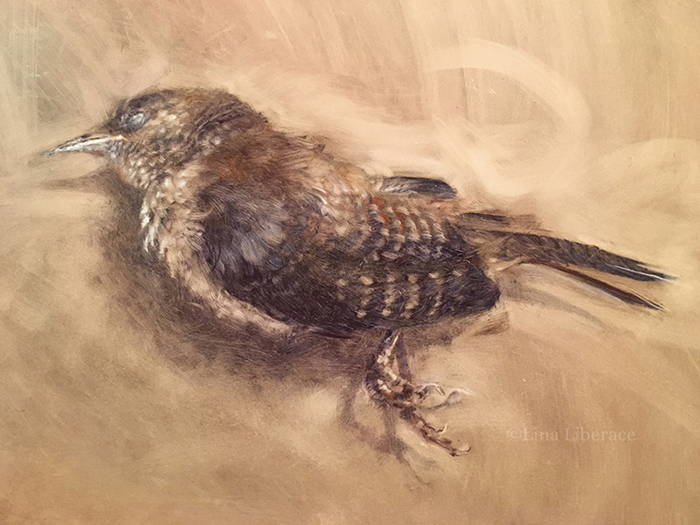 “Wren in Brown,” oil on panel, 9×7 in. 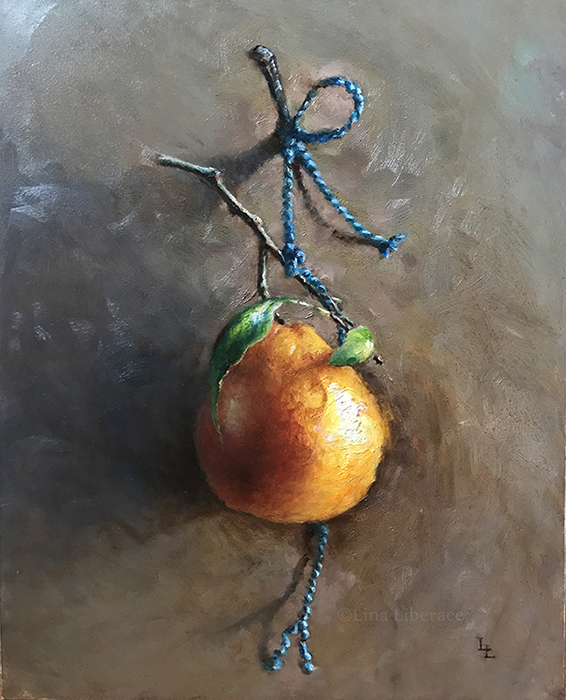 “Orange,” oil on panel, 8×18 in. 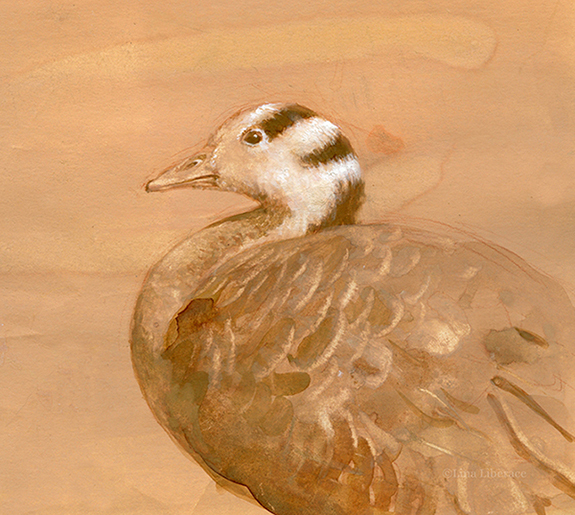 “Barred Goose,” watercolor and gouache on paper, 8×6 in. 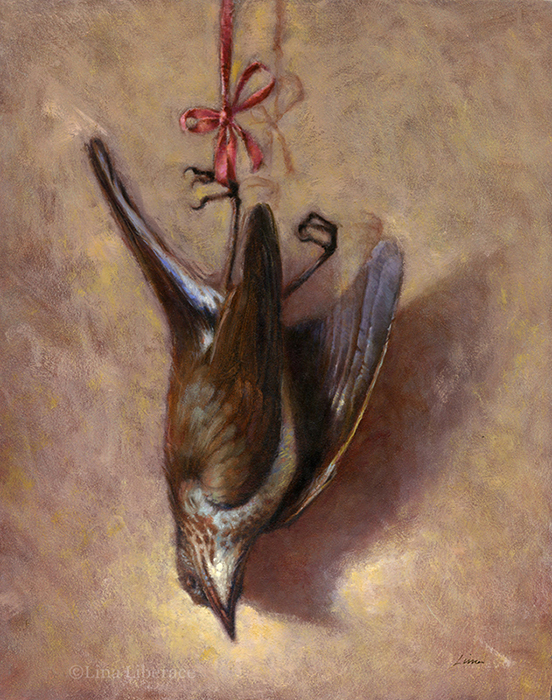 “Tattered,” oil on linen, 7×9 in. 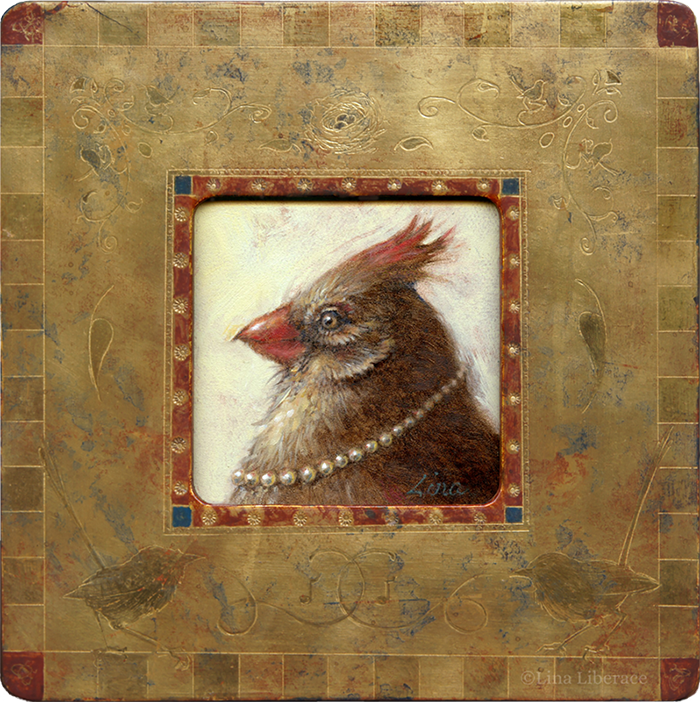 “In Pearls,” oil on panel, 3.5×3.5, in hand decorated frame, 3×3 in. 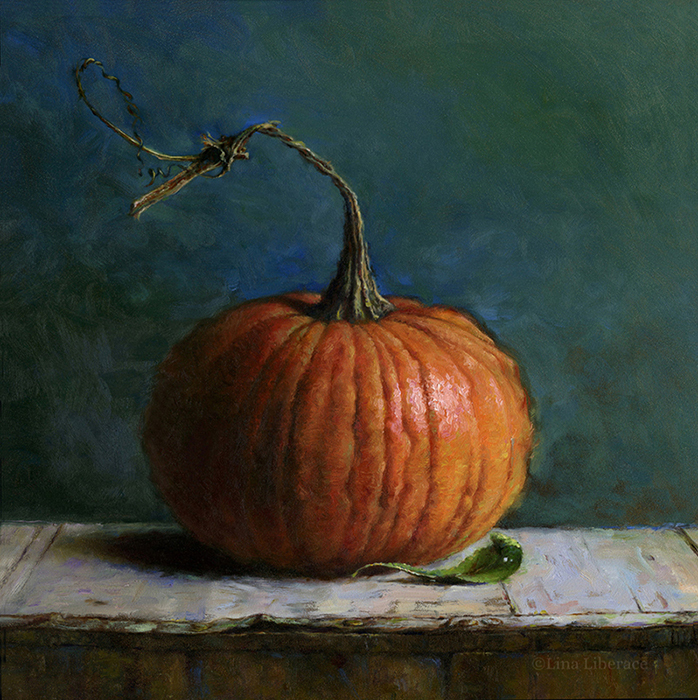 “The Great Pumpkin,” oil on panel, 12×12 in. 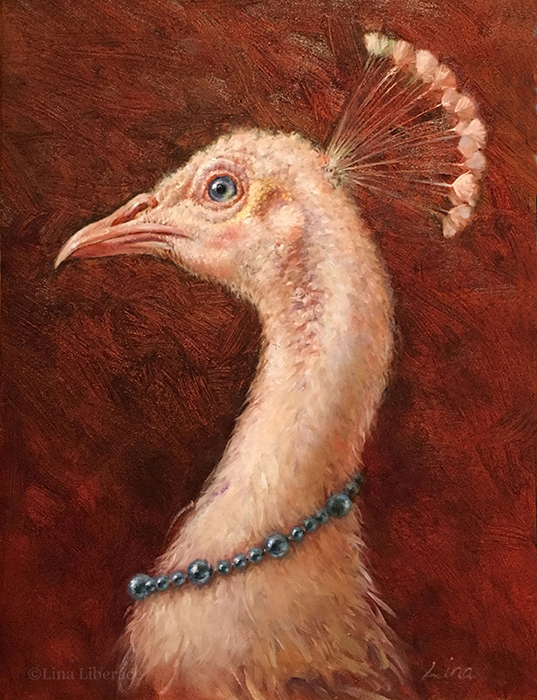 “The Dowager,” oil on panel, 9×12 in. 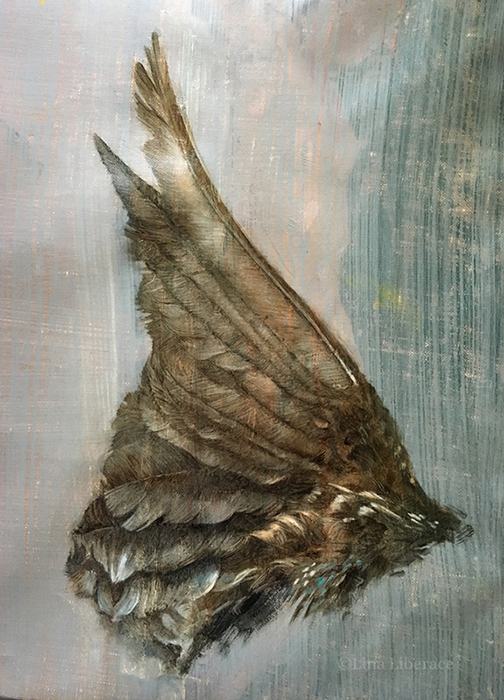 “The Crow,” oil on panel, 17×8 in. 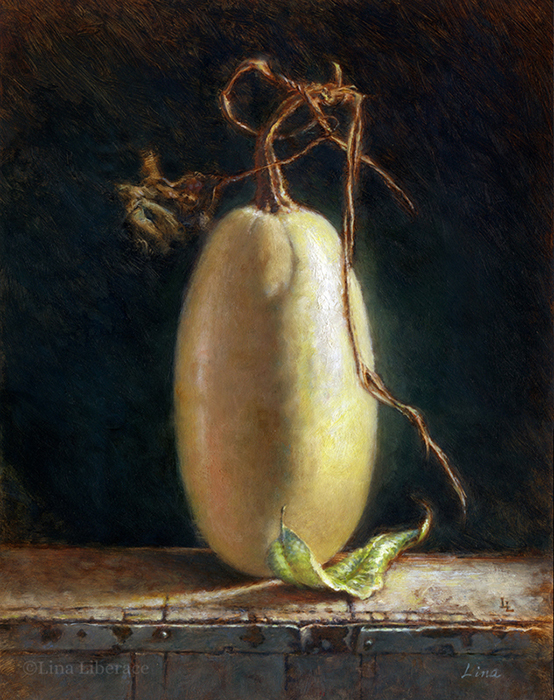 “My Garden Squash,” oil on panel, 11×14 in. 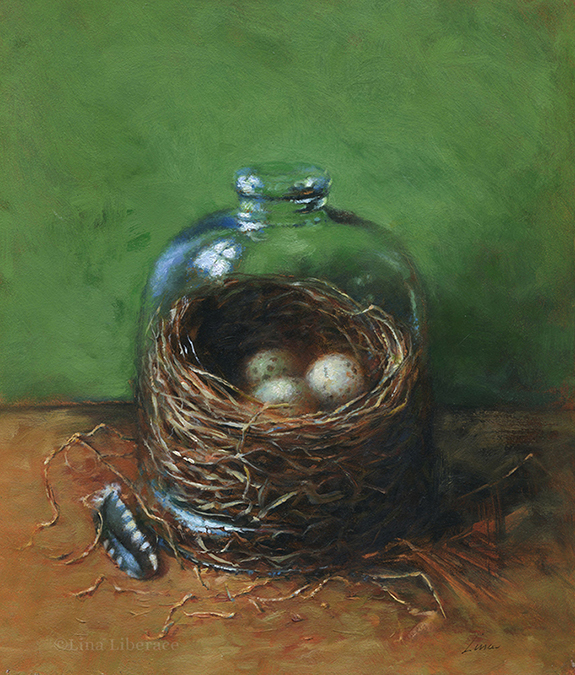 “Nest under Glass,” oil on panel, 8×10 in. 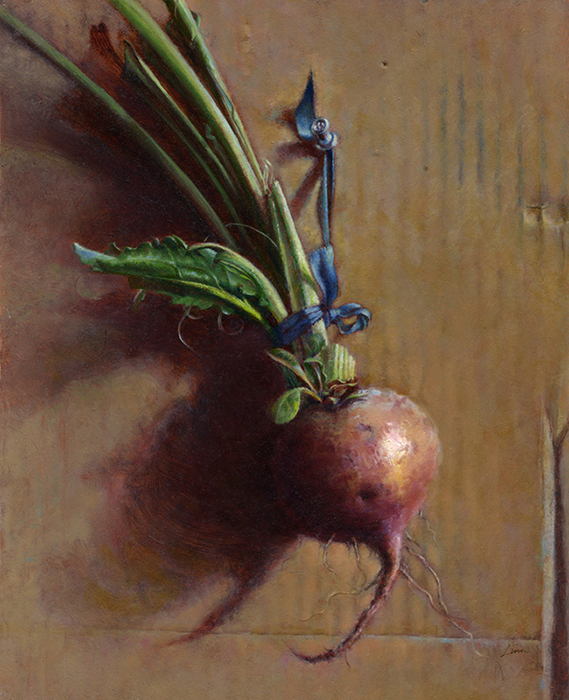 “The Beet,” oil on panel, 8×10 in. 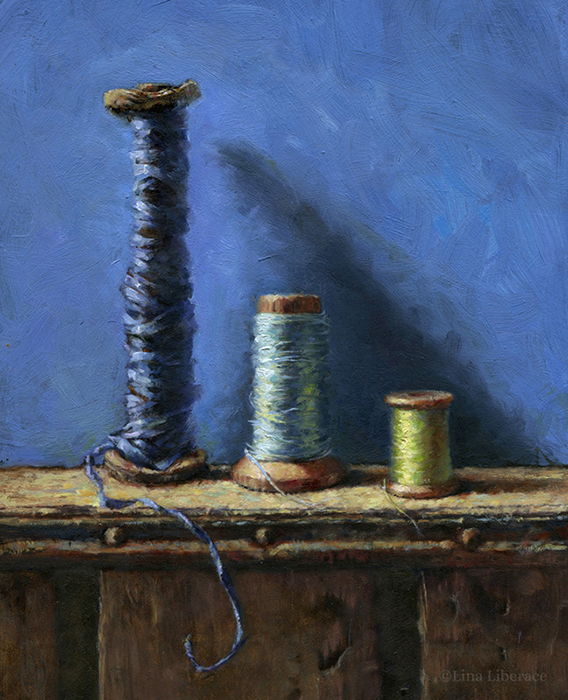 “Three Spools on Blue,” oil on panel, 8×10 in. 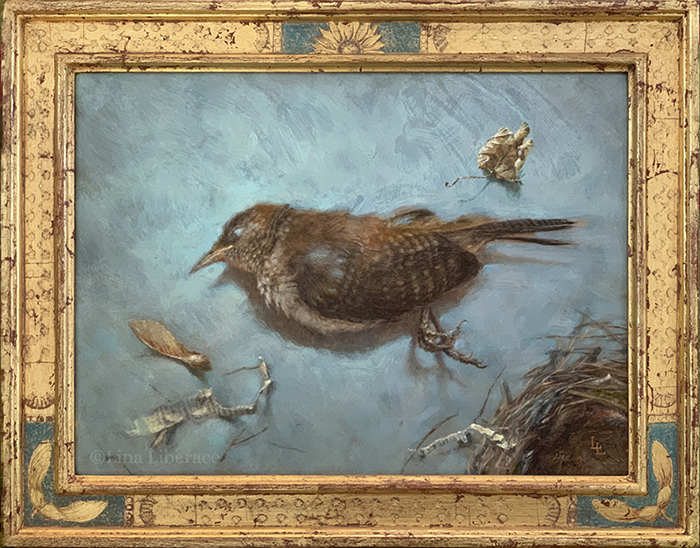 “Thrush,” oil on panel, 7×9 in. 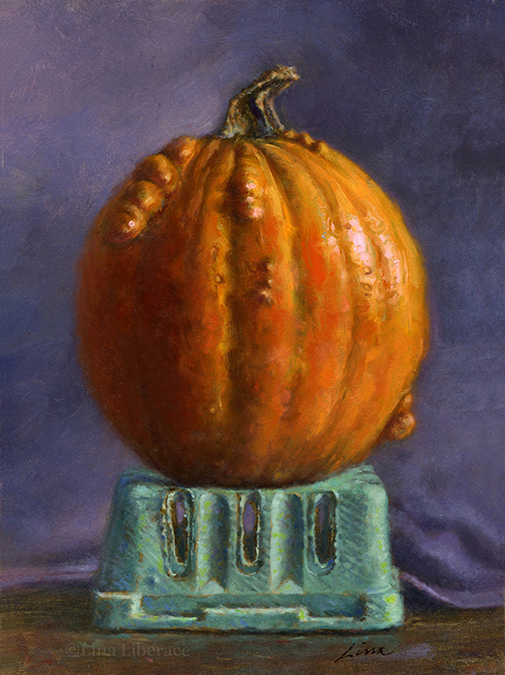 “Pumpkin On Berry Box,” oil on panel, 3×5 in. 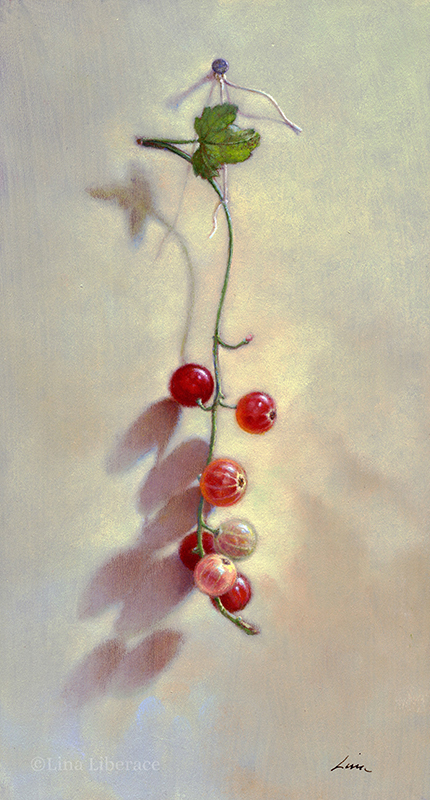 “Currants,” oil on panel, 4.5×9 in. 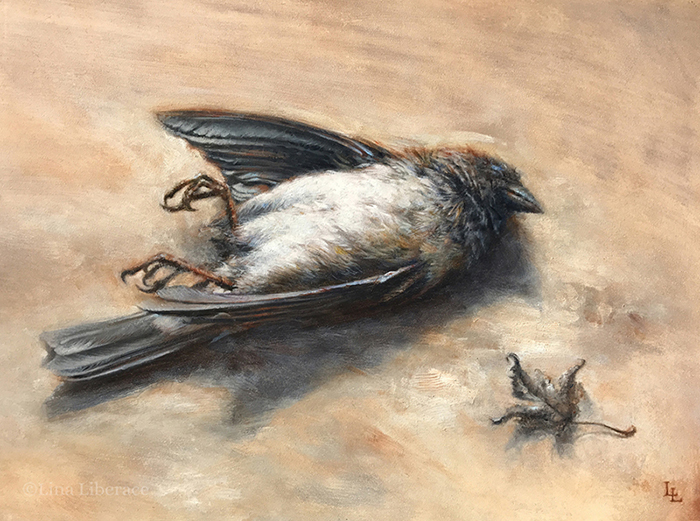 “Battle Lost,” oil on panel, 12×9 in. 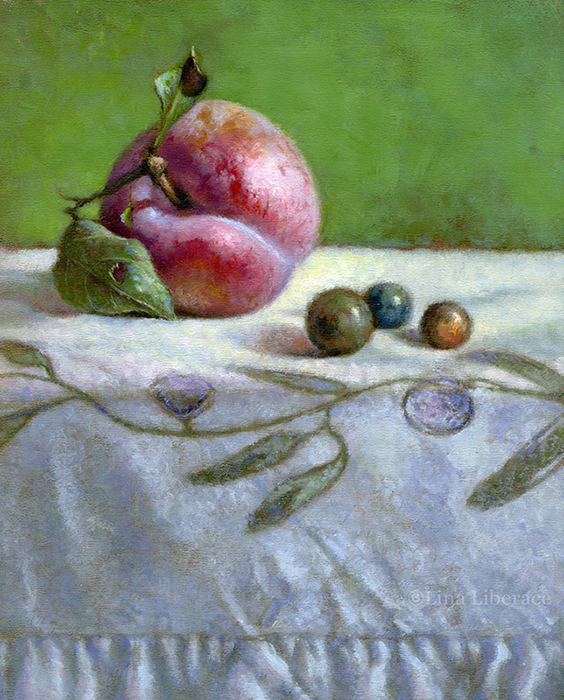 “Plum With Marbles,” oil on panel, 8×10 in.